We count steps, we count calories and many even count the number of likes on their social media posts. But how many of us ever stop to think about the one thing we need every minute of the day? The air that we breathe. Unfortunately, for many of us air pollution is increasing our chances of developing illnesses such as stroke and heart disease. This pollution is creating a situation of air inequality, with those living in urban areas of poorer countries being disproportionately affected. This raises the question: Is the burden of air pollution being shared equally? I don’t believe it is, but what future implications will this have for our planet’s rapidly growing population? We move through the day relying on the involuntary action of our respiratory system to keep drawing the oxygen from the air into our lungs. The oxygen allows for energy to be released from food. This action continues no matter how clean or polluted the air may be. Recent evidence and global events have suggested that we should be paying more attention to the quality of the air that we breathe. The current data being recorded and reported on by the United Nations (UN) and World Health Organisation (WHO) is extremely worrying. Moving To The City. But What’s The Price? Since 2014, more than half the world is reported to now live in urban areas and this figure is predicted to rise to 68% by the year 2050. Due to various types of air pollutions being emitted into the air in these urban areas, those that live there are placed at a higher risk of stroke, heart disease and many other illnesses. 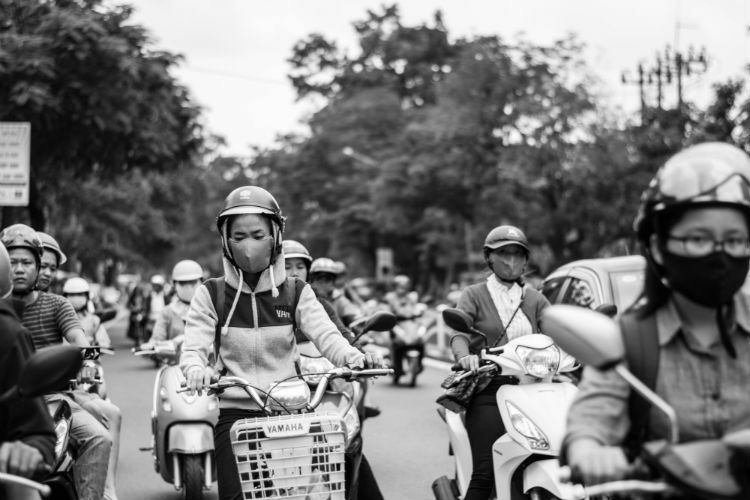 If you delve a little deeper, we find that 98% of cities with a population of greater than 100,000 in low- and middle-income countries have air quality that does not meet the WHO guidelines. That is compared to 56% in high-income countries. 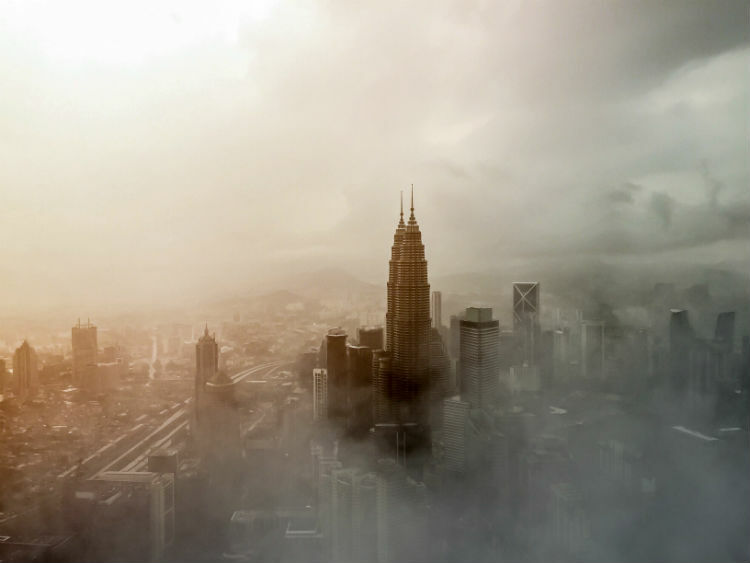 Those in developing countries must now battle against air inequality. 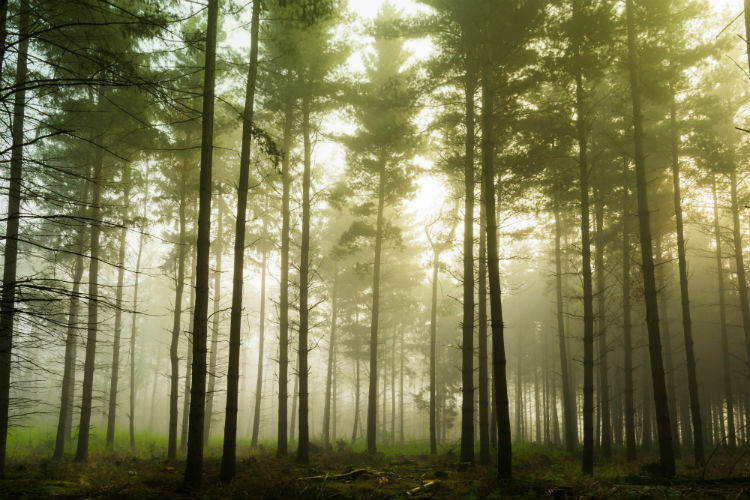 Outdoor (ambient) air pollution has been shown to be a major cause of disease and death across the planet. It is believed that up to 4.2 million premature deaths are due to ambient air pollution. The indicator of air pollution, which is used by environmental agencies, is called particulate matter (PM). This pollutant affects more people than any other form. Particles with a diameter of 10 microns or less (< PM10) are small enough to become lodged deep inside the lungs. Even smaller again are PM2.5. These particles are so small that they can cross the barrier of the lungs and enter the bloodstream. The WHO guidelines suggest long-term exposure to PM2.5 above the annual mean of 10 ?g/m3 and PM10 above 20 ?g/m3 can increase the risk of developing cardiovascular and respiratory diseases, as well as lung cancer. 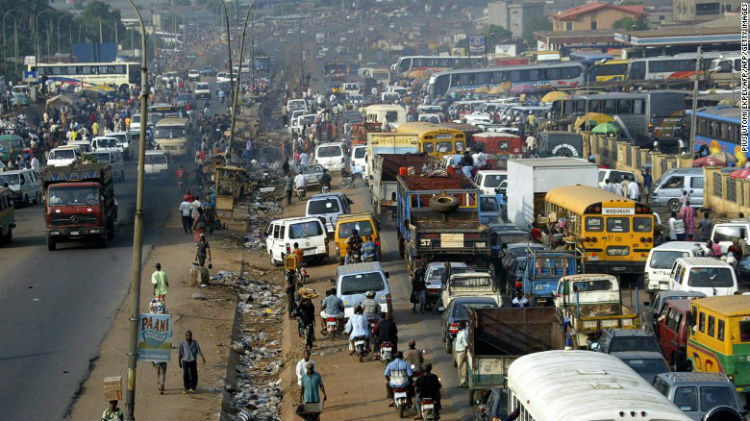 Onitsha, Nigeria is the world’s most polluted city. 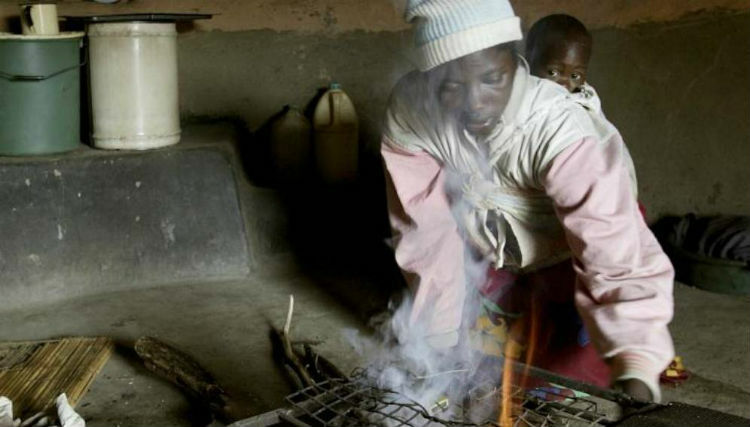 Another startling statistic is that in 2016 3.8 million people died due to household air pollution in the form of smoke from stoves and their fuel sources. This accounted for 7.7 % of the global mortality. It is probably not surprising that the highest mortality rates are seen in countries in Africa and South-East Asia. Even if people from poorer backgrounds manage to break out of the poverty cycle, they will more than likely find themselves moving to the larger urban areas. These are the same large urban areas which make up the 98% of cities with populations greater than 100, 000 who’s air quality does not meet the WHO guidelines. Over the past number of years different parts of the world have seen the effect of rising air pollution. In response, Beijing took the innovative approach of limiting the number of cars, which could enter common road space on certain days based upon the licence plate’s last digits. This policy was found to be so successful it has been built upon since its introduction in 2008. Success is relative and the levels of PM2.5 in the Beijing air vary. On 13th November 2018, the average PM2.5 level for the previous 24 hours in Beijing was 258 ?g/m3, this is more than 10 times the safe level proposed by the WHO over the same time period. 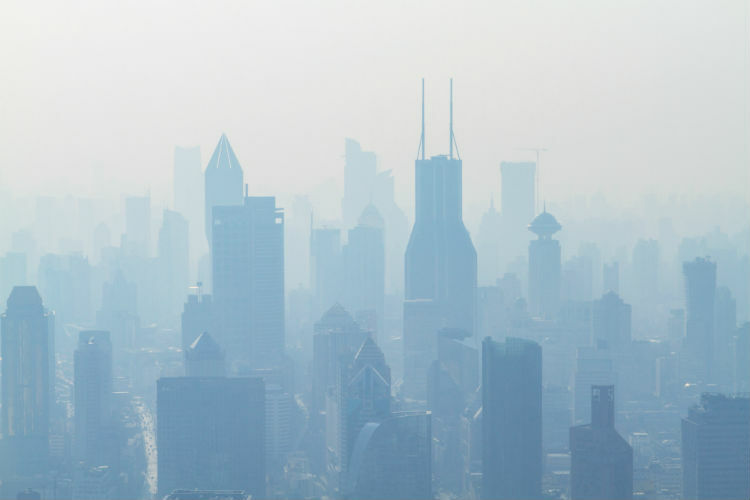 In addition to the frightening levels of air pollution in parts of China, recent research suggests that air pollution can cause a reduction in intelligence. Those exposed to high pollution levels in the study showed reduced language and arithmetic scores. Researchers went as far as to conclude that the effect was equivalent to losing a years education. Vancouver, which is routinely voted one of the top cities in the world to live, experienced the affects of smoke from wildfires blowing west over the city from central British Columbia. The consequence was that the air quality in the city was worse than Beijing. Fortunately, the high quality air, which Vancouver is known for, returned after the summer wildfires. However, incidents like these show how much we in the developed world take for granted the air that we breathe. Closer to home it is estimated that 467, 000 premature deaths per year occur in Europe due to air pollution. According to the European Commission this equates to more than 10 times the number of deaths due to road traffic accidents. To really highlight the magnitude of this issue, the European Environmental Agency has previously indicated in a report that air pollution is the single largest environmental health hazard in Europe. Unlike the natural disasters and extreme weather conditions which are increasingly being seen around the world, the future of air quality is not inevitable. We still have the opportunity to decide the future of air quality for those both in poor and wealthy countries. It will require joined up thinking on a global level, vision and political will, which maybe has not been demonstrated to date. But it can be done. So, next time you pause to take a deep breath, consider for a moment; what is in the air that you breathe and what is it doing to your body? If you are lucky enough to be inhaling clean air, think about those who are not so fortunate. We now have the scientific data and we know the consequences of inaction. Just like is the case in many issues facing the planet, we may be the last generation who have the opportunity to stop the decline in air quality. Eoin is a PhD researcher in NUI Galway. He graduated with a BSc in Biotechnology before completing an MSc in Biochemistry. Eoin then turned to secondary school teaching, spending time in Canada and England before returning to teach in Ireland. He is a Hardiman and Irish Research Council Scholar who is passionate about science communication. Since beginning his research he has spoken in front of audiences in The Bord Gais, The Helix and The Science Gallery. In 2017 he won The HEA/Irish Independent Making an Impact award. In 2018 he was a runner-up at Famelab Ireland before winning Researchfest 2018. When not working on his own research he can be found climbing a mountain or backpacking around the world.